Every Abbey Chic teddy is a genuine original. Each one is individually designed and made for their new owner in scrumptious silks, soft velvets and gorgeous vintage fabrics. No two characters are alike – and each one comes with their own ‘tedigree’ so you can trace their immaculate lineage! 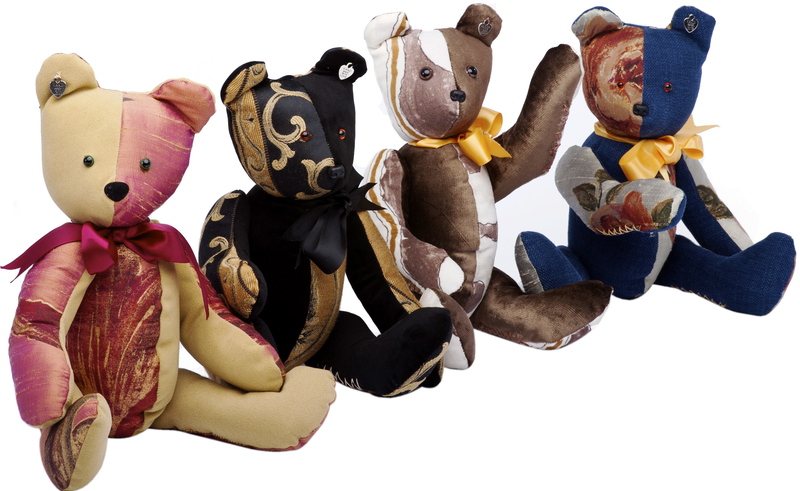 Fully jointed and hand-finished, these are grown-up teds – not for kiddies. 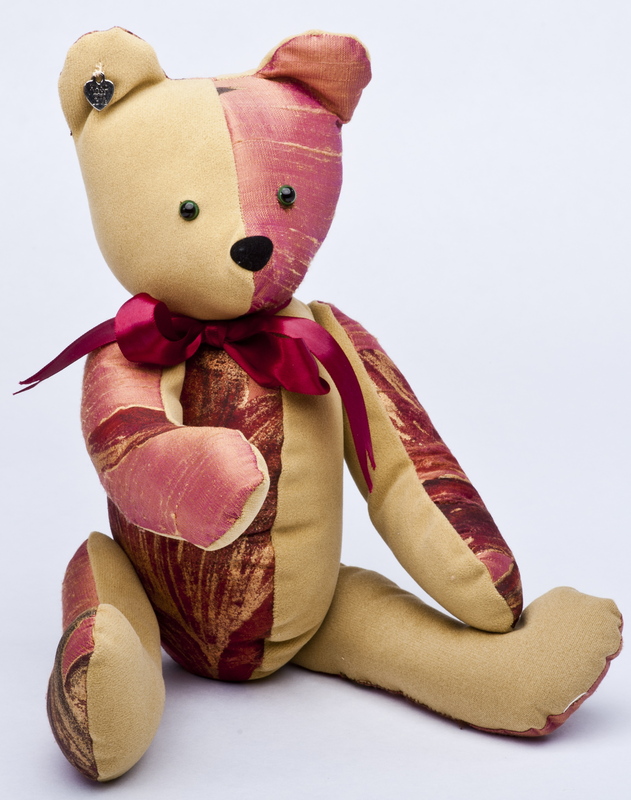 Choose one of the teds you’ll soon find in-store (see how our online store’s coming on – we’re nearly there) or have your own very special ted made for you in your own choice of colours. Prices from £79. News update: Jessica, William and Dilys (from left to right, pictured) have just adopted new people. Cousins Jessica and Dilys (on the velvet side of the family) are leading an active retirement with their friend Pinkie, while William is indulging his love of literature with a Charles Dickens scholar he’s mentoring. James (far right) is just waiting for the right person to look after.